What does Sir William Osler think about physician burnout? 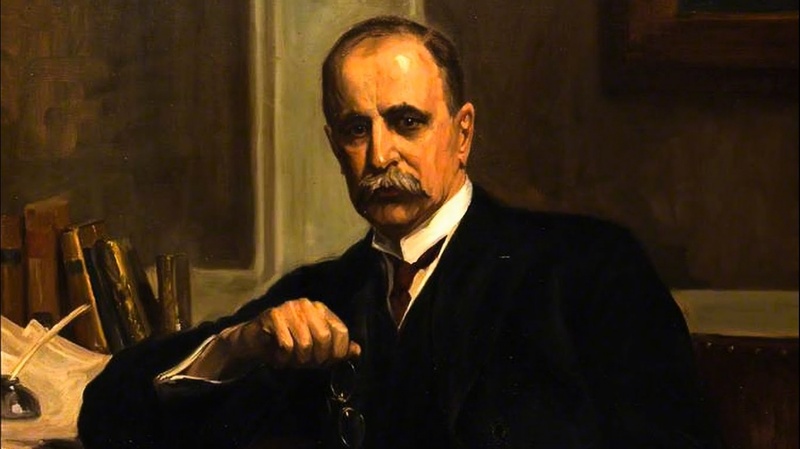 Sir William Osler (1849-1919) is universally considered the father of modern medicine. I have taken poetic license and have crafted the following “keynote address” from Sir William Osler’s words of observation, advice, and wisdom. The words are verbatim, all directly from him. They span time and occasion, and are not at all chronological. We doctors do not “take stock” often enough. In no relationship is the physician more often derelict than in his duty to himself. Acquire the art of detachment, the virtue of method, and the quality of thoroughness … but above all, the grace of humility. Keep a looking glass in your own heart, and the more carefully you scan your own frailties, the more tender you are for those of you fellow creatures. You are in this profession as a calling, not a business; as a calling which exacts from you at every turn self-sacrifice, devotion, love and tenderness to your fellow men. Once you get down to a purely business level, your influence is gone, and the true light of your life is dimmed. You must work in the missionary spirit, with a breadth of charity that raises you far above the petty jealousies of life. The times have changed, conditions of practice altered and we are altering rapidly, but the ideals which inspired our earlier physicians are ours today — ideals which are ever old, yet always fresh and new. Linked together by the strong bonds of community of interests, the profession of medicine forms a remarkable world-unit in the progressive evolution of which there is a fuller hope for humanity than in any other direction. I have had three personal ideals. One is to do the day’s work well and not to bother about tomorrow … The second ideal has been to act the Golden Rule … towards my professional brethren and towards the patients committed to my care. And the third has been to cultivate such a measure of equanimity as would enable me to bear success with humility, the affections of my friends without pride, and to be ready when the day of sorrow and grief came, to meet it with the courage befitting a man. Start at once a bed-side library and spend the last half hour of the day in communion with the saints of humanity. It helps immensely to be a bit of a hero-worshipper, and the stories of the lives of the masters of medicine do much to stimulate our ambition and rouse our sympathies. There is no such relaxation for a weary mind as that which is to be had from a good story, a good play or a good essay. It is to the mind what sea breezes and the sunshine of the country are to the body — a change of scene, a refreshment, and a solace. The young doctor should look about early for an avocation, a pastime, that will take him away from patients, pills, and potions … No one is really happy or safe without one. But whatever you do, take neither yourself nor your fellow creatures too seriously. There is a form of laughter that springs from the heart; that defies analysis by the philosopher, which has nothing rigid or mechanical in it, and totally without social significance. Without egotism and full of feeling, laughter is the music of life. To each one of you the practice of medicine will be very much as you make it — to one a worry, a care, a perpetual annoyance; to another, a daily joy and a life of as much happiness and usefulness as can well fall to the lot of man. Things cannot always go your way. Learn to accept in silence the minor aggravations, cultivate the gift of taciturnity. No matter how trifling the matter at hand, do it with a feeling that it is the best that is in you. Courage and cheerfulness will not only carry you over the rough places in life, but will enable you to bring comfort and help to the weak-hearted and will console you in the sad hours. To have striven, to have made an effort, to have been true to certain ideals– this alone is worth the struggle. To prevent disease, to relieve suffering and to heal the sick — this is our work. Janice Mancuso is creator, The Osler Symposia: Weekend Retreats for Doctors & Nurses.